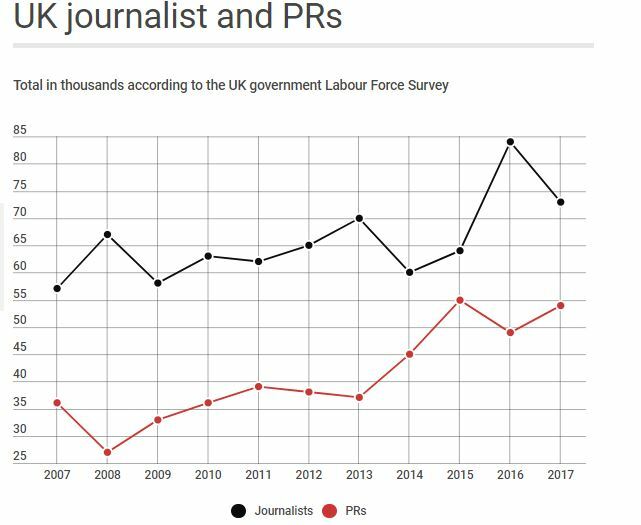 The number of British workers describing themselves as journalists has declined by 11,000 over the last year while the number of public relations professionals rose by 5,000, according to the British Labour Force Survey. The data for August 2016 estimated that there 84,000 workers described as “journalists, newspaper and periodical editors”. In August 2017 this figure fell to 73,000. Journalist's blog about useless PRs. A PR disaster? The number of workers described as public relations professionals rose from 49,000 in 2016 to 54,000 in August 2017. The number of employed journalists actually rose in 2017 to 53,000, compared with 47,000 in 2016. The big fall came among freelances with the 2017 survey claiming there are now 20,000 freelance journalists in the UK compared with 34,000 in 2016. 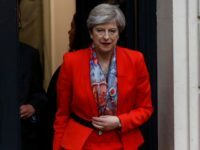 Over the last decade, the number of journalists in the UK has followed a broad upward trend – according to the Labour Force Survey. The figures are estimates based on a sample of around 40,000 households and 100,000 individuals. Although the full sample size is large, the number of journalists in the sample is comparatively small and this may partly explain the wide variance from year to year. The figure for the decline in self-employed journalists chimes with anecdotal evidence that freelances are finding it increasingly hard to find paid work, with many publications expecting content to be provided for free. Freelance journalist of 25 years standing Paul Donovan wrote about the problem in the latest edition of the British Journalism Review. He said: “The internet was heralded as a great opportunity for journalists – more copy would be needed for more outlets. However, it has generally meant more work for journalists but less pay. I always find it incredible how so many publications think online means that the journalist does not have to be paid. “I was staggered a few years ago to do a piece for the Independent about the rail industry – up it went online, ads all around but of course they couldn’t pay – not even a token amount. The internet has in many cases been used as an excuse to pay less and in many cases nothing at all to journalists. “Even in areas where publishers do still pay, a glance at the NUJ ’s rates for the job, reveals many paying the same or less than they did 10 years ago. There are very few that have actually increased rates. “This approach across the industry effectively cuts journalism out for all except those who have financial support outside of the job. Overall, the Labour Force Survey suggests a moderate gender bias in favour of men across journalism – with 39,000 men versus 34,000 women. Access the full Office of National Statistics data here.